High energy costs in Germany are pushing businesses to move production abroad, with BASF, the world’s largest chemical company, announcing it won’t be expanding its business domestically, but instead investing in other countries. According to the German Chamber of Commerce, one quarter of businesses involved in heavy industry is thinking about reducing production in Germany. BASF isn’t expanding in Germany, but in the US, where it is investing $1 billion per year. Munich-based WackerChemie is building a $2 billion plant in Tennessee, and Siemens recently took a step away from domestic production when it bought US Dresser-Rand for $7.6 billion. Cheap and surging production in the shale industry in the United States is enticing Europeans into the American chemical industry. 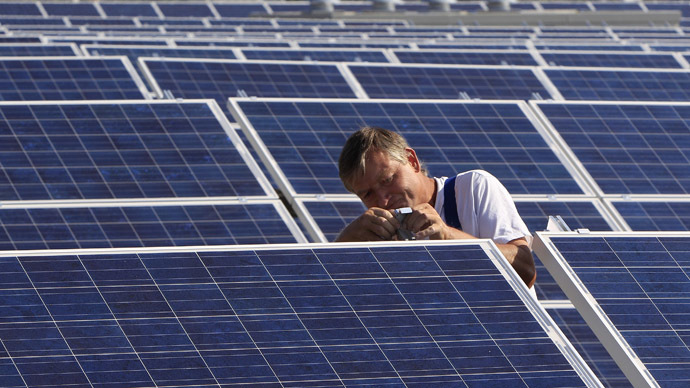 Lower energy costs make it more profitable than Europe where renewables are in favor. “German industry is at increasing disadvantage owing to the growing energy price disadvantage that it faces. Average industrial electricity prices in Germany have risen approximately 60 percent since 2007, while prices in the United States and in China have increased less than 10 percent,” market research firm IHS wrote in a study published earlier this year. Forty percent of the cost of industrial energy in Germany is taxed, the highest rate in the EU. Chancellor Angela Merkel decided to scrap all nuclear power in the wake of the Fukushima disaster in 2011, and has been pursuing an aggressive renewable strategy. Consumers are paying for this transition. In 2013 they paid €20 billion for energy from renewable sources, whereas on the global market they could have received the same amount of kilowatts for €3 billion. 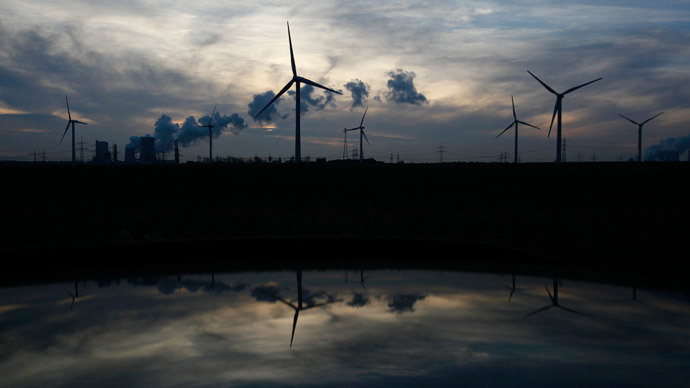 Germany hopes to raise the amount of green energy it uses from a quarter at present to as much as 60 percent by 2035, and will spend €550 billion on developing renewable energy over the next 26 years. 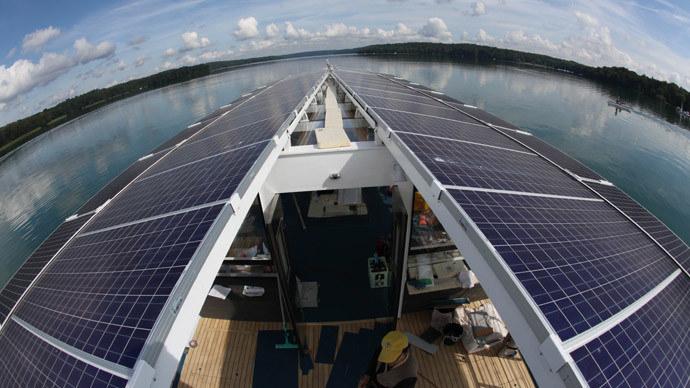 Now, a quarter of Germany’s energy is environmental sources like wind and solar, which is subsidized by big business. 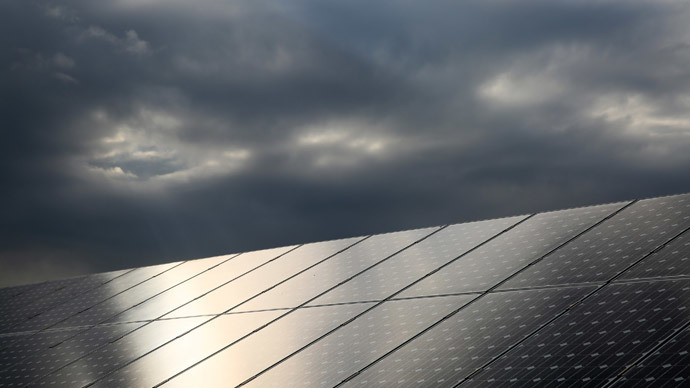 Germany subsidizes renewables to the tune of $16 billion per year, an innovation that comes at a cost to both companies and consumers. Energy prices are skyrocketing and hurting consumers in Germany, where they are above the European average. Electricity in the country costs about 1.2 euro cents per unit more than the average price across the European Union. BASF, which has 33,000 employees, is one of the main contributors of Germany’s $1.5 trillion economy, which has recently showed signs of slowing, cutting its 2014 growth forecast to 1.2 percent. 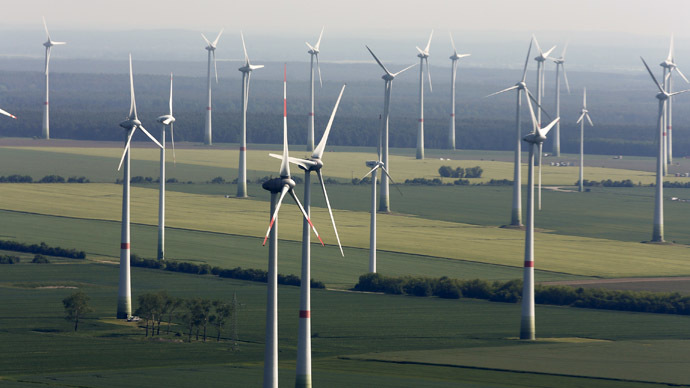 Germany is one of the top six renewable power countries in the world, along with China, the US, Brazil, and Canada.